Power up with Iron Man! 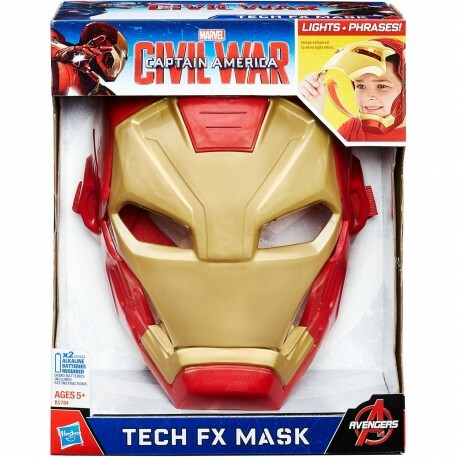 Tony Stark steps up his tech game with the Iron Man Tech FX Mask -- a light-up mask with electronic armor sound effects and speaking cues from Iron Man himself! 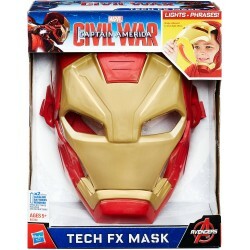 Open the mask to activate realistic armor sounds from the Iron Man suit, and close the mask to hear cues from Iron Man, commanding the mask-wearer into the action! When the mask is closed, the eyes light up, signaling that the hero-in-training is ready to imagine joining the battle for justice!